JOIN THE MOVEMENT!! 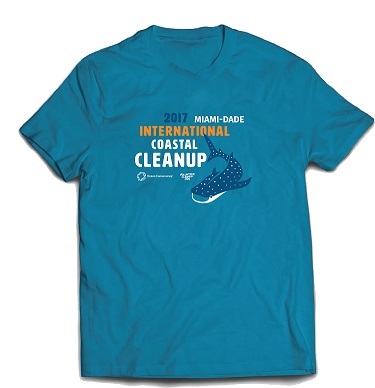 We are looking for groups, students, families, or individual residents to join International Coastal Cleanup Day. Help make a difference and make our planet a cleaner and safer place for all species! Whether you are a non-profit group or a local family, you can play a role in helping us cleanup the environment! The trash in or along the shorelines of Biscayne Bay is becoming a serious pollution problem that affects the health of people, wildlife and local economies. Community partners include Coconut Grove Sailing Club, Coconut Grove Chamber of Commerce, Biscayne Bay Foundation; and the Rotary Clubs of Coconut Grove and Brickell. Garbage bags, data collection cards, community service hours certificate, and a giveaway goodie bag will be provided. We will also have medical grade latex gloves donated by Sharp Dentistry. The site is suitable for all ages. Volunteers 15 and under need to be accompanied by an adult. Where possible, please have guests in your party RSVP individually so we can ensure they get all information and details about the event. 9:00 - on site registration opens: you will need to sign the Registration Sheet and present your pre-filled Waiver Forms. 9:15 - litter prevention presentation and group photo. Parking is available on the street or Sonesta garage. Parking at the Sailing Club is for members only. Mosquito spray, sunscreen and hats are highly recommended. Wear appropriate closed toes shoes or water shoes and comfortable clothes. Sunscreen and hat are highly recommended. Work/dishwashing gloves (we suggest reusable work gloves coated with latex that you can pick up at the grocery store/Shell Lumber/ home depot. We have some work gloves that you can borrow. We also have medical grade gloves donated by Sharp Dentistry. Water in a reusable container. Let's reduce waste and refuse single-use disposable plastic where possible. Additional water will be available for refill. 3 Community Service Hours will be provided for students actively participating in the cleanup. Please be on time to collect your hours. 5 gallon plastic bucket are great to bring. We have a limited supply. After cleanup activities to be announced. Refreshment will be provided after the cleanup.